Stillwater MN Storm Damage & Roof Repair – Weatherguard Construction Co.
Weatherguard Construction Company MN License #BC282484 and WI #857421 routinely works with homeowners who are interested in updating the exterior of their home or are concerned that it may have been damaged by hail or wind during severe weather. We will perform a thorough hail or wind damage inspection of the exterior of your residence, help diagnose any storm-related issues with your roofing, siding, windows or gutters, and guide you through the insurance claims process if needed. Find out more about our process here. Welcome to the Land of 10,000 Lakes. Actually, the precise number is 11,842–and that’s only counting lakes that are at least 10 acres in area. From the longest span of shoreline (290 miles, at Lake Vermilion on the Iron Range) to the biggest lake in the world (Lake Superior, which spans over 960,000 acres in Minnesota alone), our state is rich with what is arguably the world’s most important resource: water. A roof’s reason for existence is to protect people and property from the elements. In a state with so much snow and other precipitation (and without precipitation, these gorgeous Minnesota lakes and rivers would run dry) a quality roof is doubly important. In order to understand how best to build a roof to withstand the elements, you have to fundamentally understand how an region’s complex ecosystem and weather patterns impact roofing systems. We know Minnesota–from Halloween blizzards to tempestuous spring months that go from snow to hail to sunny days to thunderstorms, all in the span of a week. We build roofs based on our lived experience of a place–and we’ve been here long enough (more than 16 years) to know exactly what works. Our commercial projects span from design-centric urban condos in downtown Minneapolis to public municipal buildings in Northern Minnesota, from homeowners associations to property management companies. Our residential projects range from homes along the Mississippi’s Great River Road to cottages along the shores of Lake Mille Lacs, from split-levels in suburban St. Paul to cabins in farm country. 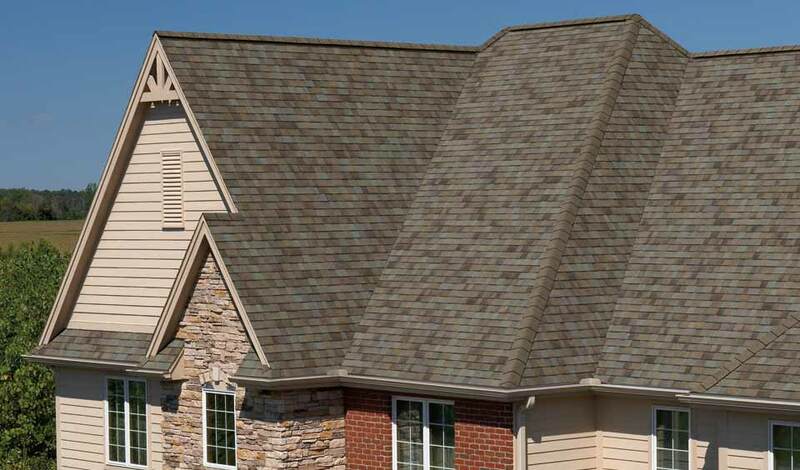 We know Minnesota–and we know Minnesota roofing. When it comes to cold weather and snow, nothing fazes us: we’ve been there, done that. We have the skills and expertise needed to handle virtually any commercial or residential roofing project from Red Wing to International Falls––no matter how far the temperature drops. We embrace a solid Midwestern work ethic, which means we’re committed to ensuring quality craftsmanship with zero hassle for each client. With more than 16 years in the business, we’ve already satisfied thousands of customers. A Platinum Preferred contractor, we proudly score an A+ rating with the Better Business Bureau. For outdoor enthusiasts, Minnesota is basically paradise. Yet, the weather that ensures Minnesota remains an outdoor paradise during all four seasons is the same weather than makes regular roof maintenance so vital. In Minnesota, we’ve got it all: hot, sunny summers with plenty of humidity. Rainy springs. Wet, cool autumns. Freezing winters. Tornado season. Hailstorms (in case you didn’t know, Minnesota is a card-carrying member of the hail belt). Snowstorms. Wind. And did we mention snow? Nestled next to the majestic St. Croix River, our Stillwater-based office provides top-notch roofing and siding services to commercial and residential properties throughout Minnesota, from North Dakota and Canadian borders to the lush river valleys of southern Minnesota. We understand that whether you’re a Homeowners Association for upscale condos in downtown St. Paul or a small prairie town with several public schools in need of new roofs, that you need a professional roofer who understands the complexities and tight timelines of commercial construction projects. We’re lucky to be located in beautiful Stillwater, Minnesota, which means that the mighty St. Croix River is our playground. Boating, picnicking, hiking, fishing, snowshoeing, swimming: the St. Croix and its surrounding river trails offer something exciting to do in every season. Stillwater itself is known throughout the state for its interesting restaurants, galleries, and shops. Its excellent antique stores lure visitors from all over the country. The area surrounding Stillwater is a microcosm of Minnesota itself: within a few miles, you’ll encounter bucolic farms, idyllic small towns like Afton (which boasts of the best skiing in the state), quiet suburbs and the urban buzz of St. Paul and Minneapolis. We build, maintain, and repair roofs for our diverse client base from across this dynamic area. We’re proud of the roots we’ve planted in the great state of Minnesota––no matter how low January temperatures sink.